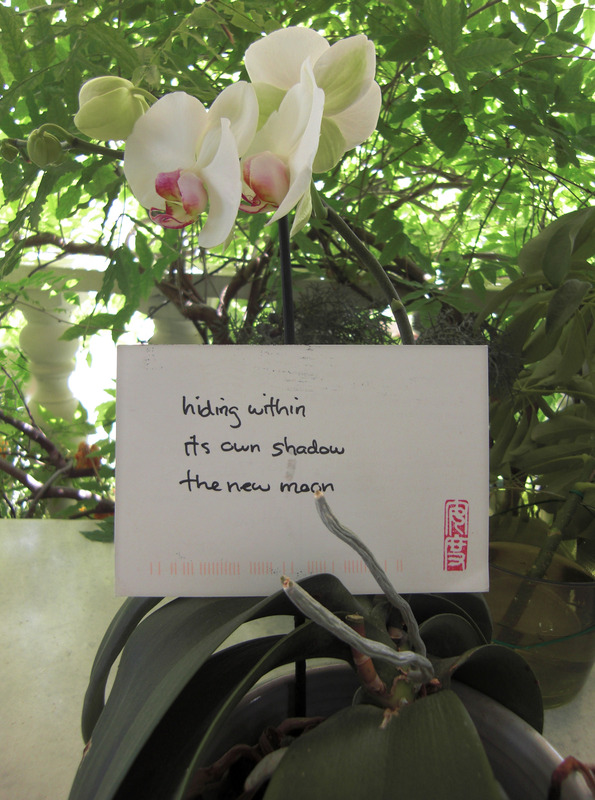 A few days ago I received this beautiful haiku card in my mailbox. Haiku Andy creates a haiku each day and mails it to an address he picks randomly from his hat of friends. So, 08-05-2013 was my lucky day! It is a wonderful gift, isn’t it?!! Thank you my dear friend! True, Sriram! Thank you [on behalf of Haiku Andy]. That is SINCERELY the best haiku I have EVER read. They are often vague, nonconclusive. This starts and ends on itself, beautifully. Well remarked, Noeleen! Andy will be very happy to hear that! You are right! Thank you for the visit, Kavita! How wonderful … the photo is stunning and the thought behind it is even more stunning. Thank you Viveka! Yes, it is a beautiful thought! “Every day, I physically inscribe that same haiku on a single postcard and mail it to someone in the world Today, that someone is you” – such a lovely gesture from Andy. Thank you dear Marina for bringing joy in our hearts. It is a lovely gesture indeed! Thank you, Dilip. All the best! That’s wonderful, and such a great idea! Even with all the conveniences of technology, email, texting, etc., I still think nothing beats the power of holding a sincere handwritten card or letter sent through snail mail. I’m so glad you shared this with us, Marina. I am going to check out his blog. You’re right, Fergie… More senses involved! I’m sure if you visit you will appreciate his writing. I admire your haikus, as you know! Just reading all these comments now! I don’t know what to say. So many kind remarks. Thank you for sharing, and please, everyone, if you provide a mailing address, I will (someday) send you a unique haiku postcard. Marina, you are wonderful and I am grateful for having connected with you via shared art. The pleasure is mine too! What you do is beautiful, Andy! That is so wonderful. The recipient must be so pleased and their day brightened. I was once a member of Post Crossing. One signs up online and a postcard is sent to your house from someone you do not know somewhere in the world. Then you get a recipient’s name and do the same. I have been in correspondence for years with two different individuals from Finland and one from Germany, and it all started with a simple postcard. Have a wonderful day my dear Donna! I agree… wonderful haiku, Elen! It was nice receiving it and I loved his haiku! Thank you, my dear Patricia! I knew you’d like my orchid! Thank you Terry… somehow it seemed appropriate! It was a wonderful gift! You’ll love his haikus! This is a person who wishes to touch the hearts of his friends. It’s such a special gesture. It brought happy tears to my eyes. A special person to know. His blessings will be many .. I’m sure. Ah, thank you, Isadora for your overwhelming comment. What he does is truly special! What a wonderful idea and way to celebrate friends! In this age of electronic this and electronic that, it is especially nice to receive something tangible!